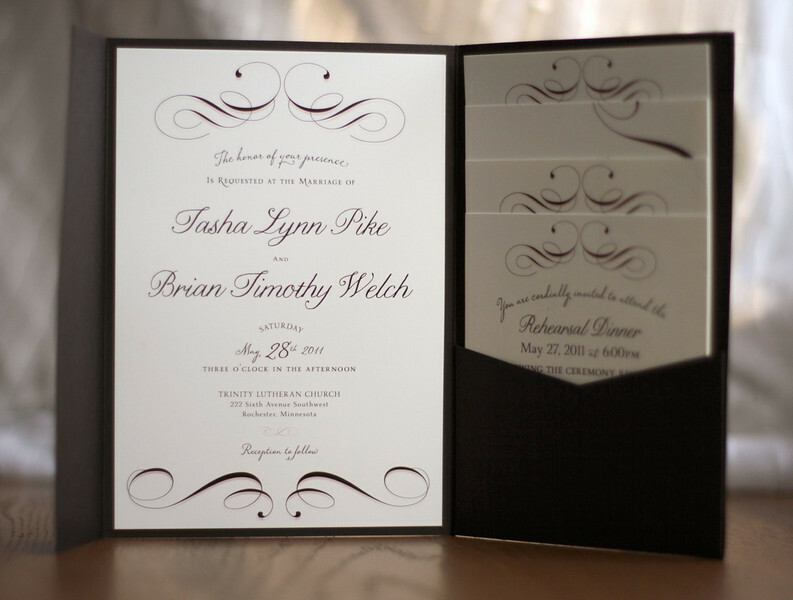 Black pocket fold invitation - including four inserts: custom map, RSVP postcard, accommodation information, and rehearsal dinner invitation and map. Bound with a soft blush satin ribbon. Printed on heavy, cream card stock. I love these invitations!! Where do you sell them?